One advantage of using an Infrared filter that covers part of the visible spectrum is that one can manipulate colours within Photoshop. 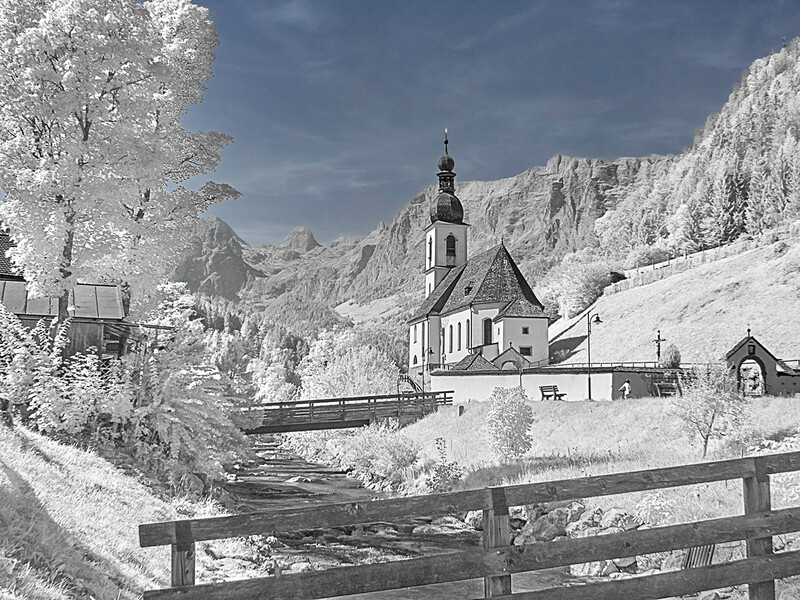 This allows you to have, as here, a black and white image with a blue sky. Actually, any colour of sky is possible but I prefer not to go too wild with my colours.